August 25th: What's On Today's Show : Blog Of The Nation In the first hour of Talk of the Nation, the dedication of the Martin Luther King memorial, and Steve Jobs' resignation. In the second hour, life as a truck driver, and TOTN's Freshman Reads series continues. Thousands of visitors are expected to visit the new Martin Luther King, Jr. memorial in Washington, DC this week. King becomes the first non-president and first African-American immortalized on the National Mall. The monument was many years in the making, championed by the African-American fraternity Alpha Phi Alpha. NPR's Corey Dade joins host Rebecca Roberts to talk about the dedication of the new memorial, the story of its creation and what visitors can expect. Steve Jobs broke the news last night that he will give up day to day operations at Apple. Few, if any, CEOs are as identified with their companies as Jobs. Under his watch, Apple redefined the personal computer, digital music player, mobile phone, tablet computer and animated film, among other products. While Jobs established a culture at Apple that lead to some of the company's most successful product launches, his leadership style occasionally rubbed people the wrong way. Guest host Rebecca Roberts talks with Brian Cooley, of CNET News, about Steve Jobs' significance, role and leadership style at Apple. Few outside the trucking world understand the complicated lives of long-haul truckers. 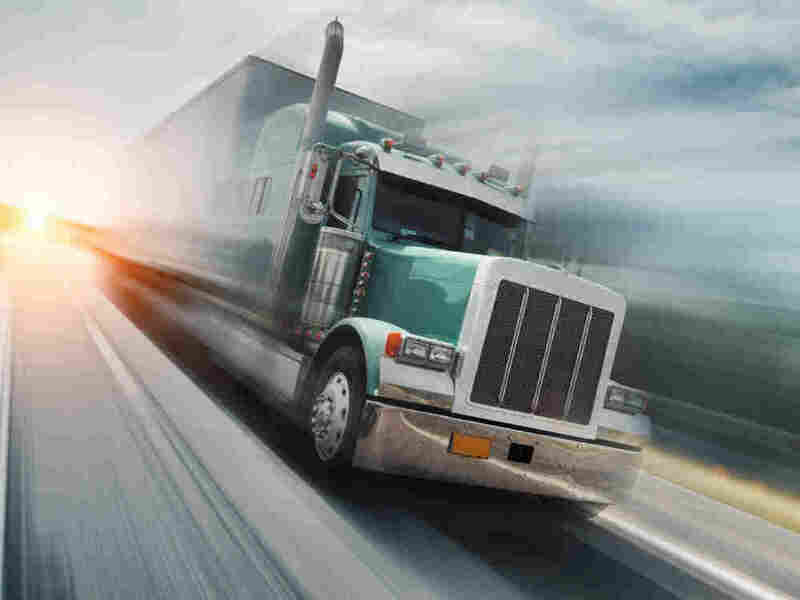 When you have to pass a big rig on the highway, or perhaps one surges past you, it may not be your first instinct to think about the person in the cab. Dan Hanson, a fleet manager in Belle Plaine, Minnesota wrote a piece for the Star Tribune explaining that there may be a lot of things going on in the driver's life that others may not realize. There are speed requirements, fuel regulations, delivery deadlines, not to mention the personal issues that creep up during long stints on the road. Guest host Rebecca Roberts talks with truck drivers about their experiences and talks with Hanson about his piece, That truck driver you flipped off? Let me tell you his story. Fall is fast approaching — TOTN is tackling the next in our Freshman Reads series. Many colleges and universities are adopting the freshman common read program, where first year students read the same book during the summer and then discuss it when they get to campus. Today, guest host Rebecca Roberts talks with Rebecca Skloot about her book, The Immortal Life of Henrietta Lacks, and the teachable moments this story can offer freshman students. What book would you add to a freshman common read list?